L-R: Ms. Mary Grace Caedo (administrative staff), Dr. Clement Camposano, Dr. Paul Dumol, Ms. Ma. Victoria Ferreria, Ms. Josefti Nito, Dr. Arnel Joven (chair), Ms. Danielle Calantuan-Mejos, Ms. Sophia Marco, Dr. Juan Mesquida, Dr. Yvette Camacho and Ms. Grace Liza Concepcion. 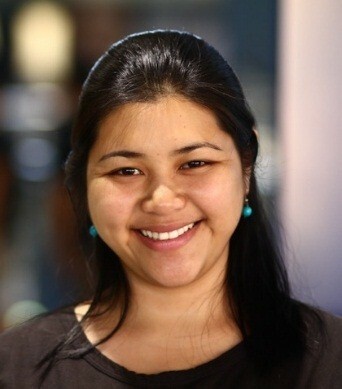 Danielle Y. Calantuan-Mejos is a graduate of the MA Humanities Program of the University of Asia and the Pacific. 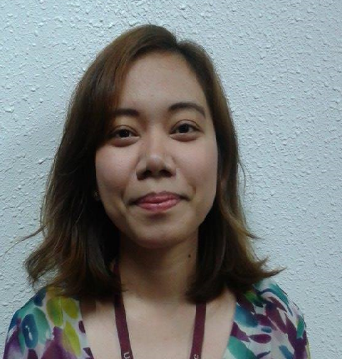 Her thesis is entitled Morphological Analysis of Ten Selected Philippine Folktales. After graduating in 2006, she has worked with the Humanities Program, the Literature Department and is currently with the History Department of UA&P. She has taught Classical and Renaissance Literature and is presently teaching Christian Civilization. She is interested in the history of Marikina, especially in the role of the Marikina River in the growth of the town. In addition, she is also interested in the different approaches of teaching history, particularly in the context of the K-12 curriculum. Arnel E. Joven teaches courses on research and Philippine history and culture. He obtained his doctorate in History in 2012 from the University of the Philippines. He has presented numerous conference papers on the history of health and medicine in the Philippines and in Asia. 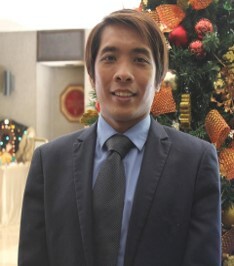 He is a recipient of the Asia-Phil Research Grant from July 2012 to July 2013, which enabled him to complete his study entitled Perceptions of Wellness and Illness in Urban East Asia: A Survey of Culture-Based Notions of Health in Japan. He recently received a Samsung Korean Studies Program Research Grant to undertake another study entitled Medicine, Health, and Disease in Peninsular East Asia: Understanding the Cosmology of Wellness and Illness in Korea. His research entitled Medicine and Health Care in the Philippines During the Japanese Occupation Period, 1941-1945: Adaptations and Negotiations in Lowland Luzon is now being prepapred fro publication. Mary Josefti C. Nito finished her MA in Humanities from University of Asia and the Pacific and is currently pursuing PhD in History from the University of the Philippines, Diliman. Her thesis is entitled “Images of Heroism: An Analysis of Emilio Jacinto, Manuel Quezon and Benigno ‘Ninoy’ Aquino Jr.’s Depiction in the Textbooks Makabayan: Kasaysayang Pilipino 5 and Marangal na Pilipino 5” She was able to share parts of this thesis as a resource speaker in the National Conference on Heroism and Pedagogy organized by GSIS, Department of Education and the Metrobank Foundation last September 28, 2014. Her research interests also include the local history of Caloocan and the historiography of women historians in the Philippines.